Are you interesting in serving your community and supporting the Smackover School District? One way to do this is by becoming a school board member. Following the census, the District was required to redraw the boundary lines for school board positions. Because of this, all of the school board positions are considered open in the upcoming election. Forms may be obtained from the Union County Courthouse. The Smackover School Board meets in regular session on the second Monday of each month. Posted in Buckaroo Board on June 29, 2012 by The Buckaroo Blog. 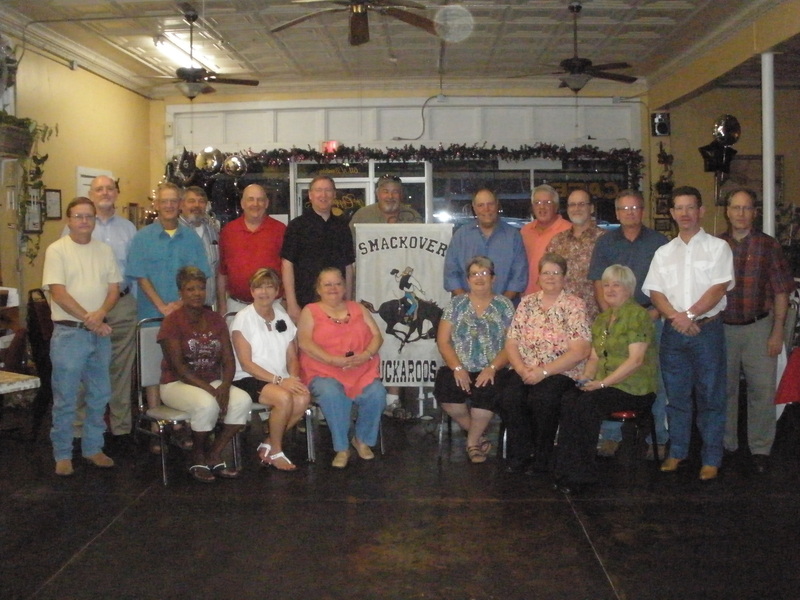 The Smackover High School Class of 1972 celebrated their 40th class reunion during the Oil Town Festival weekend. Seated left to right: Gloria Jones Boone, Cheryl Gandy Corley, Sherry Jameson Darden, Joleen Parks Braswell, Eileen Harmon Fletcher, Louise Barnes Nelson. Back row left to right: Mike Jones, Dennis Ray, Robert Sutherland, Bob Garner, Eddie Humphreys, Johnny Williams, Rick Hill, Jimmy Morris, Charles Sellers, Chuck Moore, Clark Langley, Rusty Scott, Billy Burchfield. Posted in Buckaroo News on June 28, 2012 by The Buckaroo Blog. The following Smackover High School students were presented awards related to mathematics at the end of the 2011-2012 school year. Posted in Buckaroo News on June 27, 2012 by The Buckaroo Blog. The Smackover School District will accept applications for transfer students by “Arkansas Public School Choice Act of 1989″ until July 1, 2012, for the 2012-2013 school year. Applications may be picked up at the Smackover School District Central Office or by clicking on the link below. For more information about School Choice, please contact Superintendent Don Smeltzer at 725-3132. Posted in Buckaroo News on June 26, 2012 by The Buckaroo Blog. Why are the Common Core State Standards good for students? They help prepare students with the knowledge and skills they need to succeed in college and careers. They give students more time to focus on depth of understanding topics being covered. Clear standards help students realize what is expected of them and allow them to engage in self-directed learning. Posted in Buckaroo News on June 25, 2012 by The Buckaroo Blog. The following Smackover High School students were presented awards related to foreign language achievement and participation at the end of the 2011-2012 school year. Posted in Buckaroo News on June 22, 2012 by The Buckaroo Blog. The Common Core State Standards initiative is a state-led effort coordinated by the National Governors Association Center for Best Practices (NGA Center) and the Council of Chief State School Officers (CCSSO). The standards were developed in collaboration with teachers, school administrators and other experts to provide a clear and consistent framework to prepare our students for college and the workforce. These standards define the knowledge and skills students should have within their K-12 education so they will graduate high school able to succeed in entry-level, credit- bearing academic college courses and in the workforce. They are designed to be robust and relevant to the real world. The new learning standards stress conceptual understanding and application. They are internationally benchmarked to guarantee our students are competitive in the emerging global marketplace. The Arkansas State Board of Education adopted the Common Core State Standards in July 2010. With our students fully prepared for the future, our state will be best positioned to compete successfully in the global economy. Posted in Buckaroo News on June 21, 2012 by The Buckaroo Blog.